I’m gonna keep this post short, simple and sweet, just like this recipe! 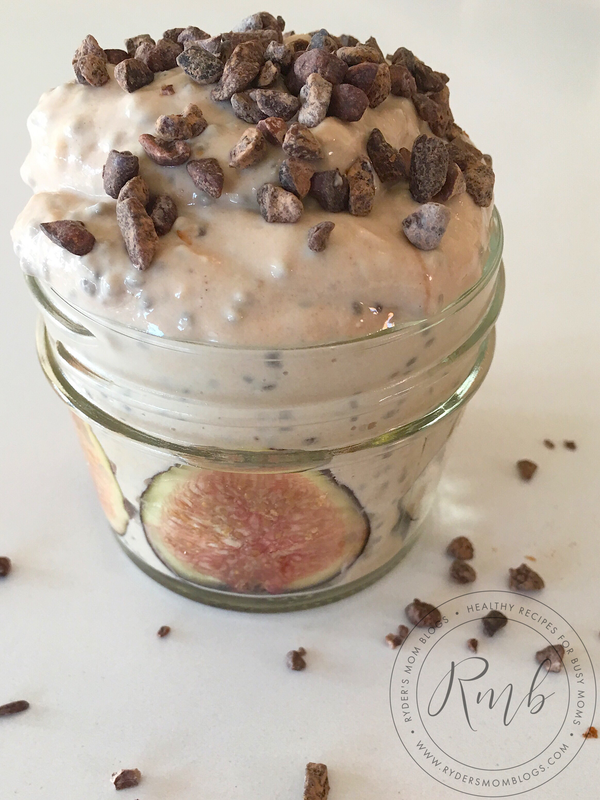 It is oh so delicious and the perfect recipe for a protein packed breakfast or as dessert to curb your sweet tooth. And because it’s so yummy and has great macros, you may want to have it for breakfast and again for dessert!! Mix yogurt, almond milk, protein powder and chia seeds in a bowl and and let sit in the fridge 2+ hours. (I let mine sit overnight). Top with sliced figs and cacao nibs. If you want to serve like I did in the photo, place fig slices inside a clear Mason jar, pressed against the sides. Pour Chia Pudding into the jar and sprinkle with cacao nibs. Enjoy!